The humble car has come a long way since first gracing our roads over a century ago and it’s far from unusual for many of the technological advances we enjoy in our day to day lives to find themselves inside our vehicles. It’s therefore little surprise that the car is the next frontier when it comes to connected and smart technology. Whether we’re talking about entertainment, navigation, communication, and even smart home control, the car is the latest platform that’s embracing the connectivity revolution that’s underway in our homes and all around us. In this guide, we’ve taken a look at the best smart equipment designed for use on the road and the four-wheel friendly smart devices in this roundup are the essential elements to bring smart connectivity into your vehicle. When we talk about a smart devices for use in-vehicle and the subsequent creation of a ‘smart car’, we’re really talking about the ability to bring connected devices into the car to help achieve a goal – usually around the areas of entertainment, productivity, automation, or control of some kind. It’s easy to think of the term smart cars as referring to autonomous or self-driving vehicles that are going to be hitting the streets in the near future, but right now, the remit of smart vehicle tech is mainly constrained to what goes on within the cab, rather than under the hood (with the exception of some vehicles such as models by Tesla). 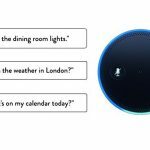 Right now, the major leaps in connected smart car technology are taking place in the devices which communicate with other devices in your personal and home ecosystem meaning not only the things you carry on you (like your smartphone), but increasingly with the home itself through communication with smart home voice assistants and controllers. What this means is an environment in your car that extends beyond the internal space of the vehicle itself and hooks you up to the wider world, allowing for example, your vehicle to ‘talk’ to your smart home when you’re due to arrive and have the home system trigger a set of actions before you even open the front door. 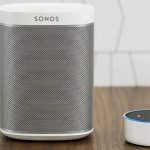 Similarly, the integration of smart voice systems such as Alexa into the car means that services such as navigation (once the remit of the GPS system or phone) are now increasingly being taken care of by the same smart assistant which you utilize in the house for a seamless transition. If you want to bring the connected device experience on the road with you, the good news is that developments in smart technology have brought this into the mainstream in an increasingly big way. In this part of the guide, we’ve taken a look at the best smart devices for use in-vehicle to allow you to extend the range of your smart home environment to the interior of your car. 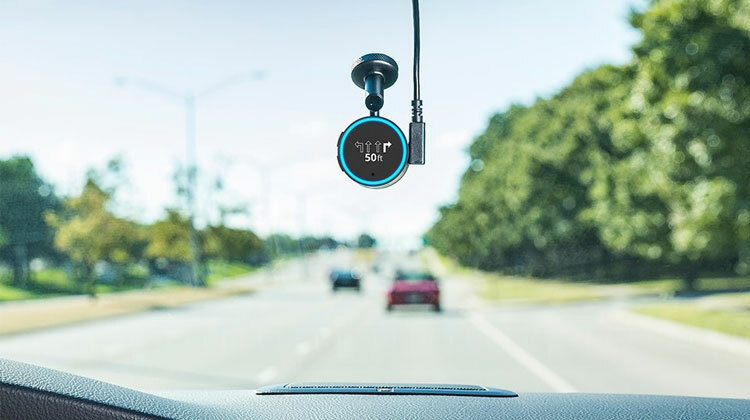 Garmin are no strangers to the in-car technology scene and it’s little surprise that one of the scene’s biggest names when it comes to navigation has been an early adopter of Alexa in their latest range of smart vehicle devices. 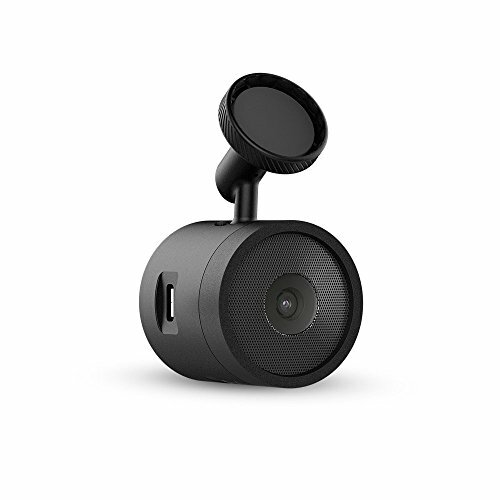 When it comes to dash cams, there are a lot of choices out there but if you want a device that also includes Alexa functionality built-in as standard, the field narrows significantly. Utilizing Garmin’s turn-by-turn navigation instructions, you can ask Alexa how to get you where you’re going and the device will duly reply with step by step directions of when and where to turn. 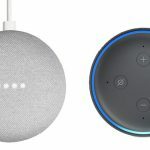 On top of this, Alexa on-board means that the Garmin Speak Plus can also be asked (via Alexa of course) to carry out those typical tasks you might ask of your Echo Dot back at home – things like creating to-do lists, getting weather or traffic updates, and even controlling any smart devices in your ecosystem (great if you forgot to hit the lights before leaving). What really makes this device stand out however is the system’s primary role as a dash cam to record and save the footage from your drive as well as the ability to provide collision and lane departure warnings if a hazard is detected by the device. Put this all together and you end up with a compact yet feature-filled smart device that is able to look, listen, respond, leaving you free to concentrate on the driving. 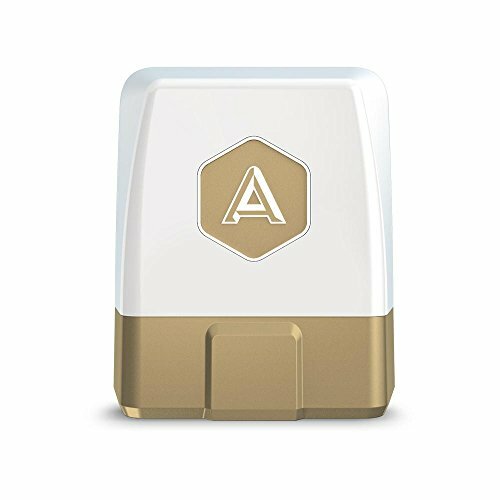 The Automatic PRO AUT-350 is effectively a 3G device which you can hook up to your car to monitor and track its whereabouts at all times (and without a subscription fee for the service). While it only currently operates within the US, the Automatic PRO works with any vehicle to provide peace of mind for you (if the car goes missing or you don’t remember where you left it) or for your loved ones (in the event of an accident). In the case of an auto accident detection by the system, the Automatic PRO informs the agents from Automatic who can then offer assistance, contact the emergency services, or get in touch with family if required. 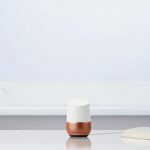 Wider connectivity to your smart home ecosystem via the internet means that home automation is also covered within the device’s remit. You can sync your lights to turn on or off when you arrive or leave home and even set your connected Nest thermostat to switch to Away mode when it detects that you’ve left in the morning. Alexa sits at the core of the Roav Viva providing on-board voice activated functionality from Amazon’s smart assistant system. What this means on the road is that you’re going to have a couple of key Alexa voice controlled services accessible effectively on your dashboard from accessing audiobooks and some music streaming options (although Spotify isn’t currently supported) to shopping online and even using voice initiated calling for hands-free communication with a paired device. Another key feature of the Roav Viva is the ability to use Alexa for voice controlled navigation to get you from A-B and back again. 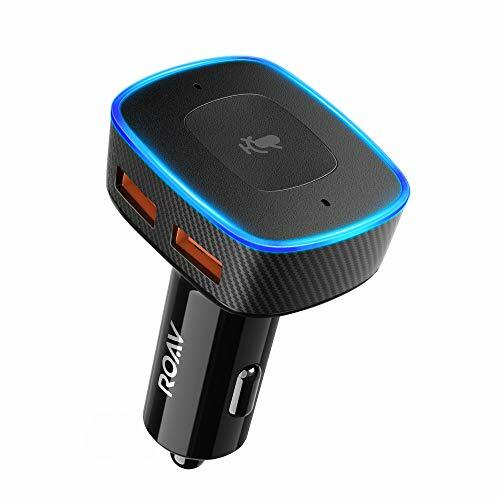 Road noise is of course a concern when it comes to anything which integrates a microphone when using in a vehicle and the Roav Viva utilizes what it calls ‘Acoustic Echo Cancellation’ to compensate for any surrounding sounds to ensure Alexa can hear you clearly. The inclusion of two USB ports on the device are a nice addition to the device and mean that you can also charge a couple of phones on the go if needed.